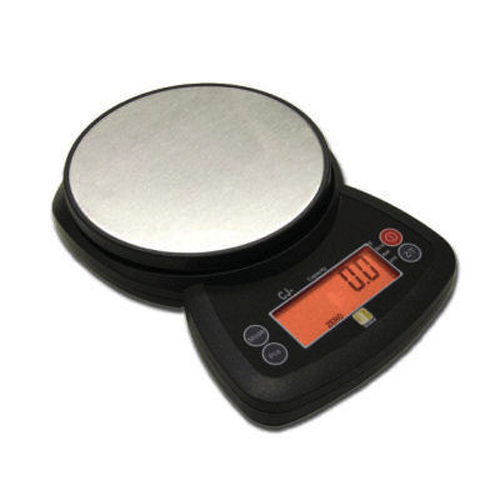 Jennings JScale CJ 4000 -- 4000gram Precision Mid-Sized Compact Digital Scale with Multiple Modes & Count Function. The Jennings JScale CJ4000 now comes with new backlit LCD display. 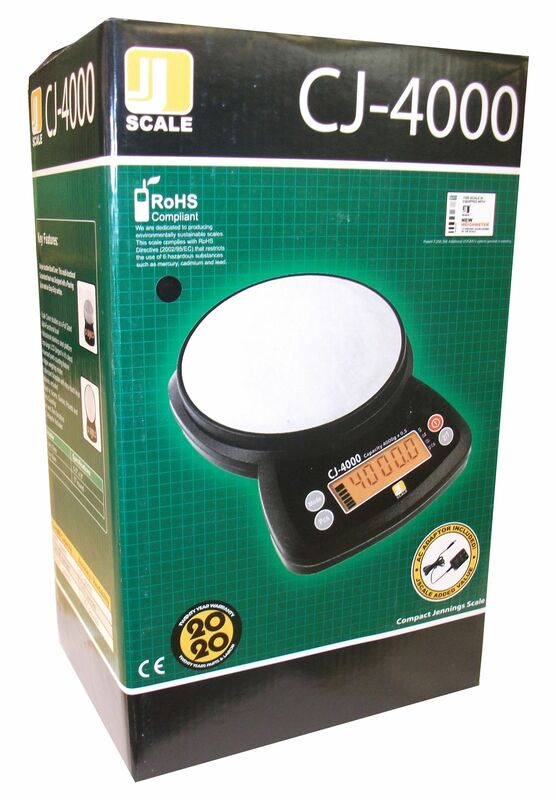 The Jennings CJ4000 is packed with features normally found on more expensive scales. With its stainless steel platform and cover that doubles as a bowl with pouring spout, it is not only stylish but functional. 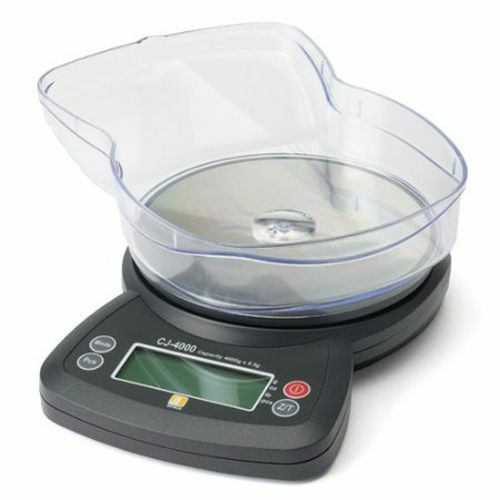 Reading in grams, ounces, pounds, parts counting and a 0.5gram accuracy, the CJ4000 has features normally found on scales costing double the price.